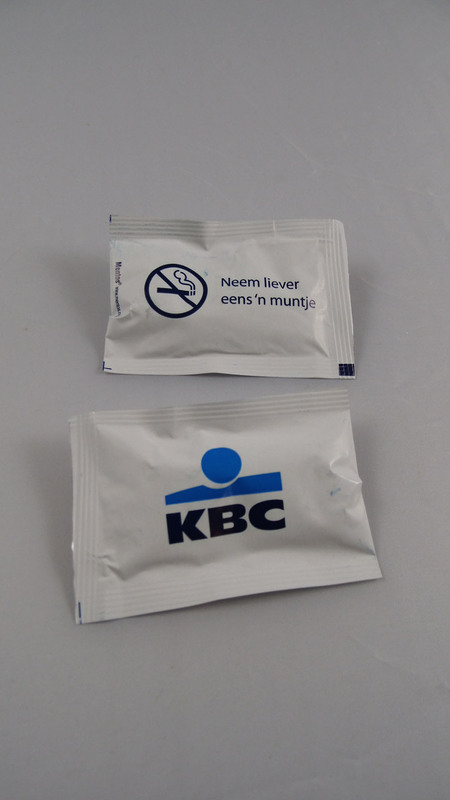 Two Mentos Original Mint Sachets personalized as a business gift. 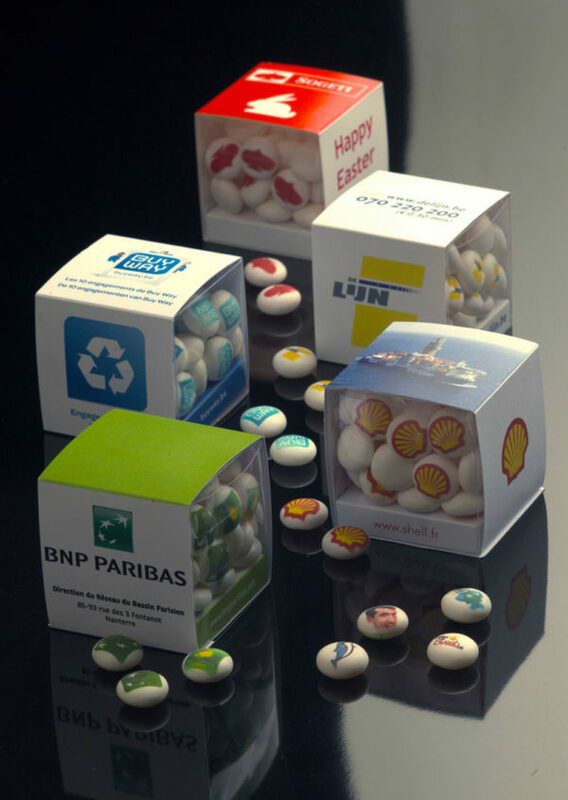 Our Mentos personalized as business gift are a strong communication product for your events. 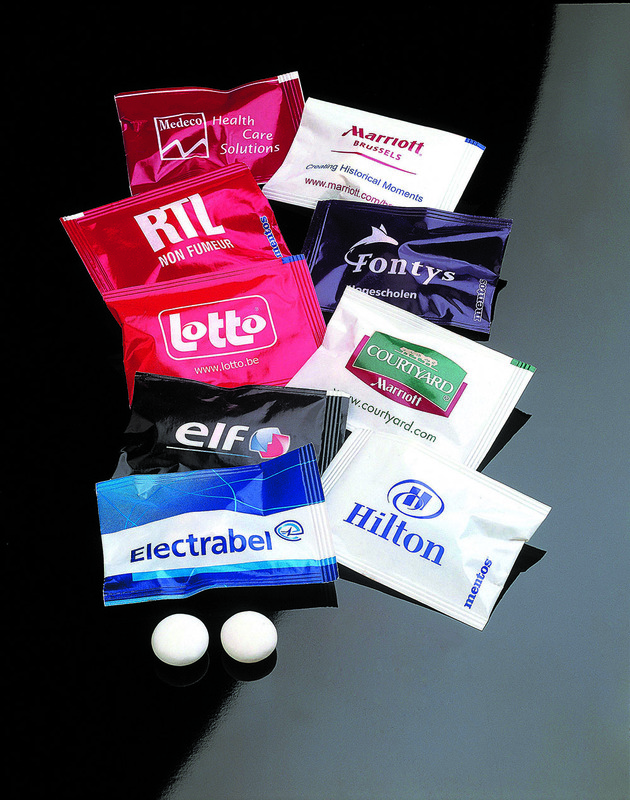 It is the perfect gift for your Easter gifts, on fairs, meetings or anniversaries. 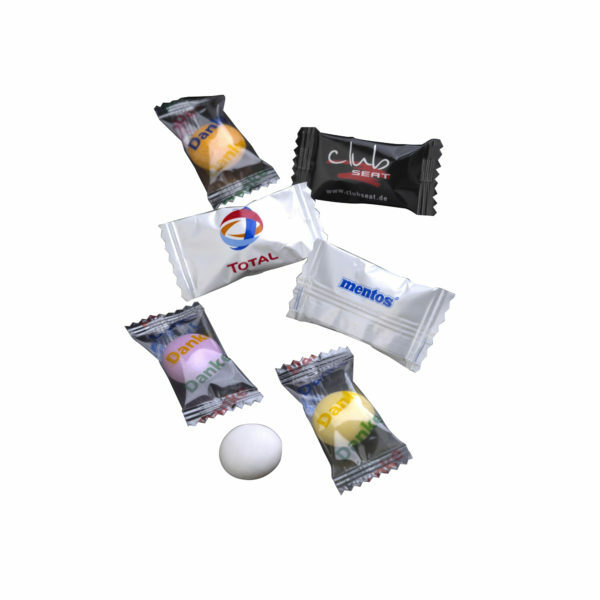 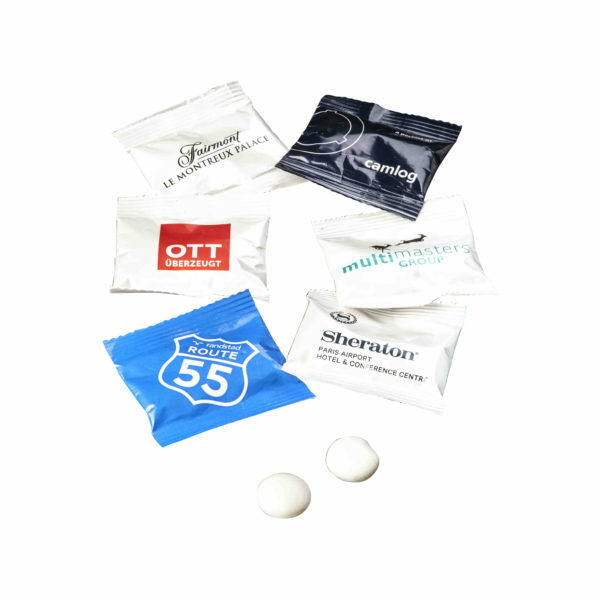 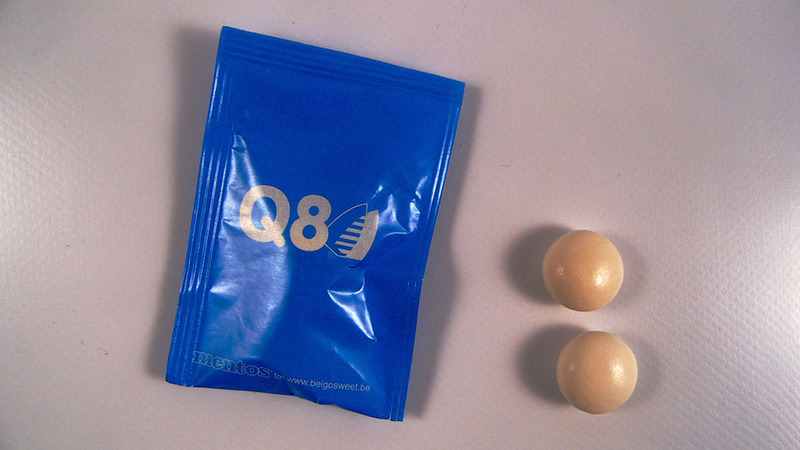 Original Mentos individually wrapped in a white or transparant flowpack personalized with your logo. 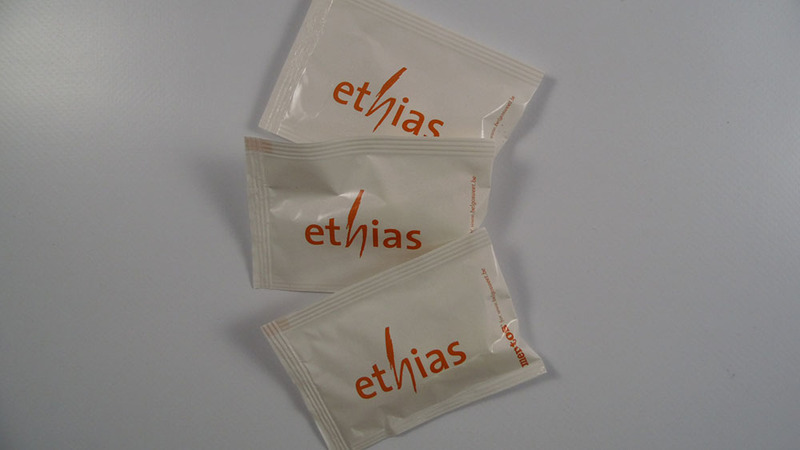 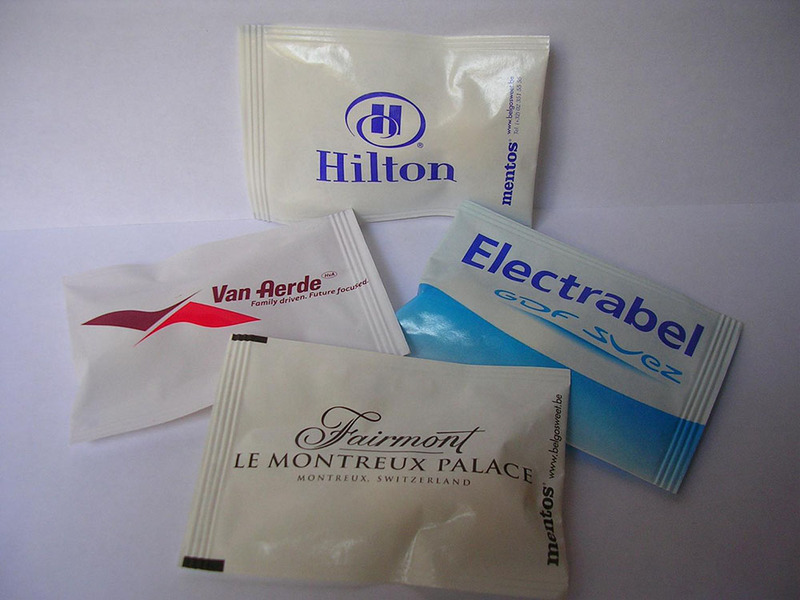 We can print the sachets up to 4 colours. 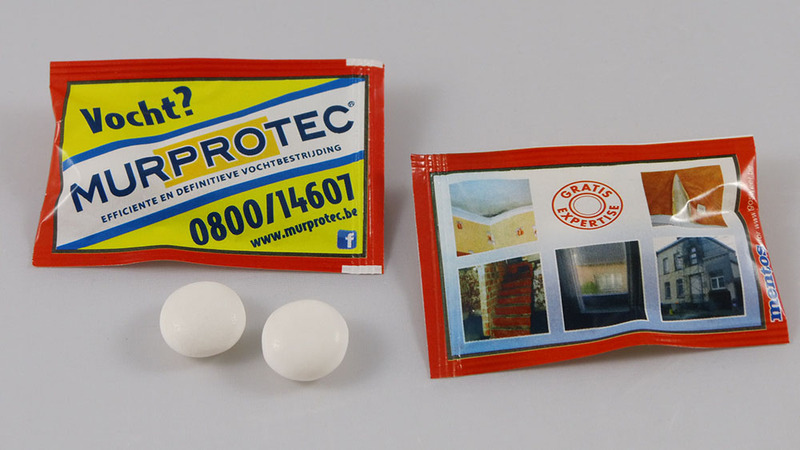 Hence,you have to store them at normal humidity level and stable temperatures between 12°c and 18°c. 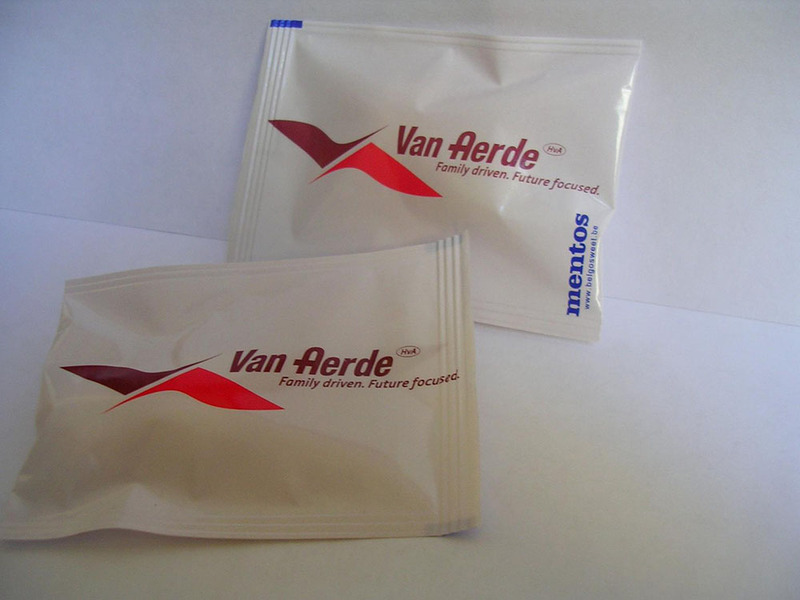 Finally, you can have your order in 20 working days after approval of artwork. 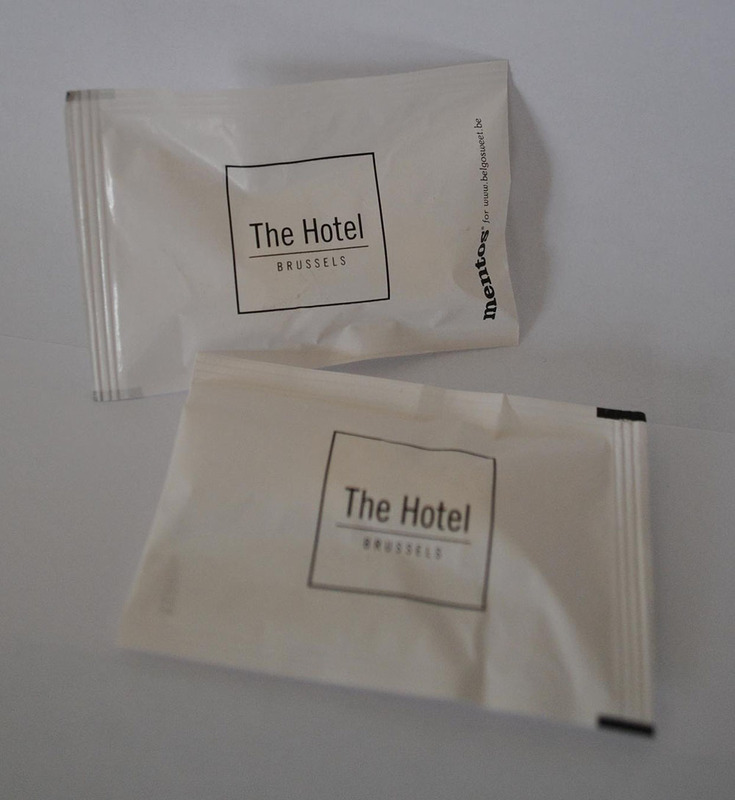 If you have questions, please don’t hesitate to ask us. 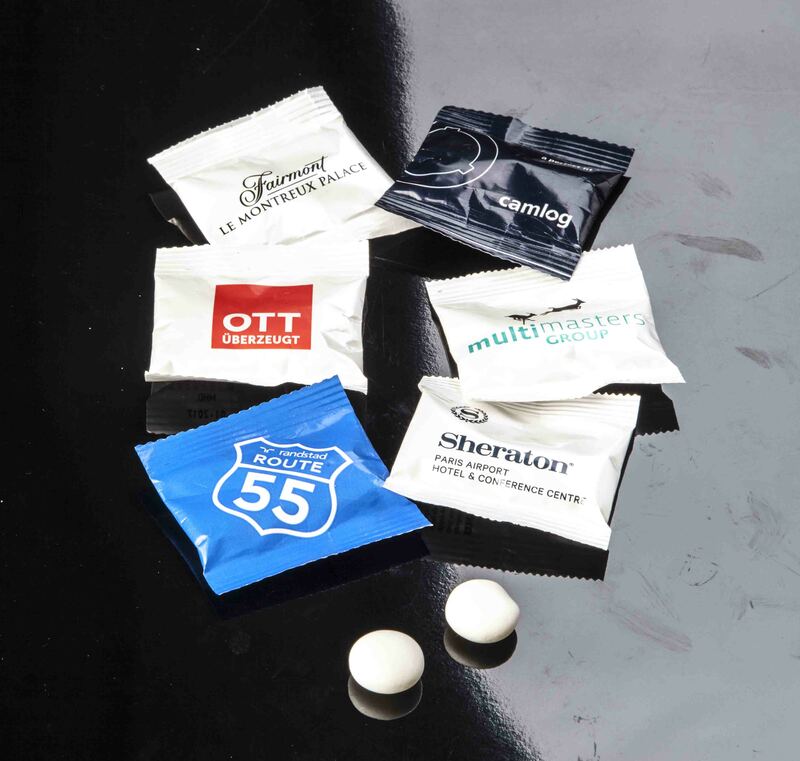 You can also check the Mentos’s website.